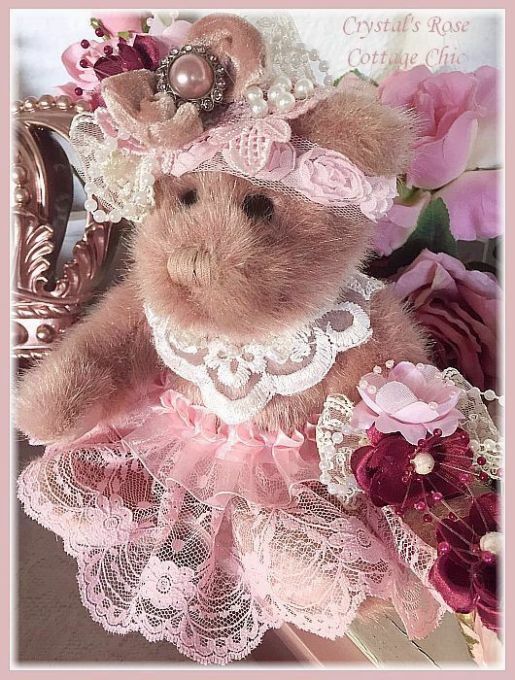 This special, keepsake bear is another one of kind creation destined to delight the Rose Cottage/Victorian collector. 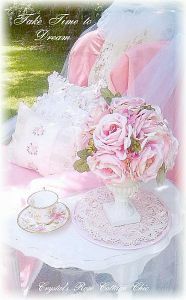 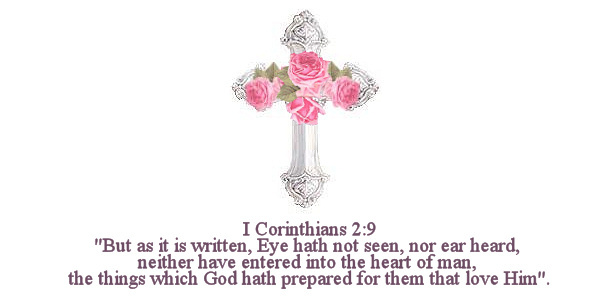 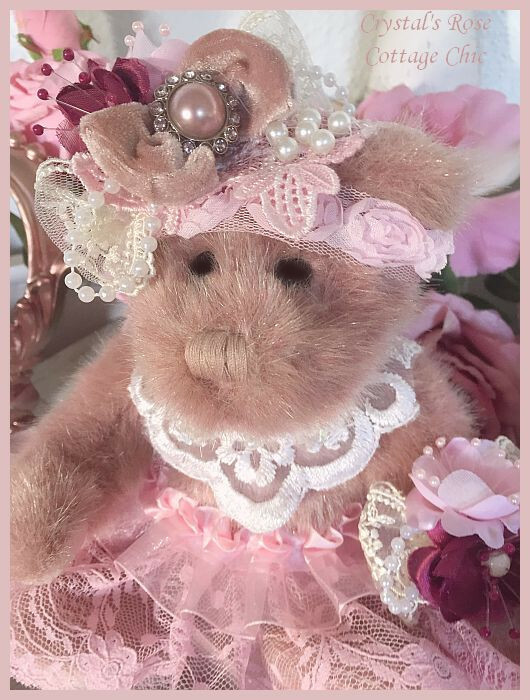 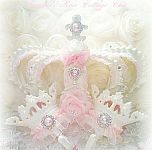 She has lovely Dusty Rose colored fur and is embellished with ivory appliques with pearls and sequins as well as pink lace, pearls and flowers. 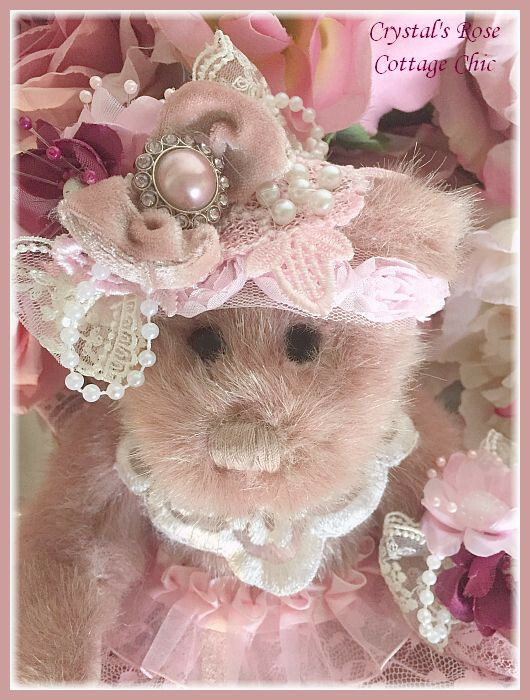 This sweet, little lady measures 8 inches tall from the top of her flowers down to her seatd position.